At the moment I’m tasting between 50 and 100 different teas a day. I try them in series of about 10 or 12. When you taste so many teas at the same time, you spit them out, for obvious reasons. Most importantly, you taste each tea twice, and in a different order, so you’re not influenced by the qualities or flaws of the previous tea. 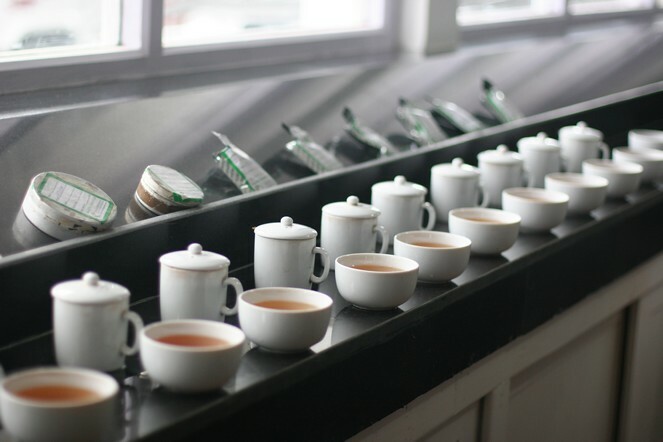 This is because when you taste several batches in a row, you have a tendency to pick out what is different about them rather than their similarities, and if I didn’t taste each one twice, I could miss out on some wonderful teas. Useful post and great responses. Interesting, clear and precise. I appreciate you sharing this with the rest of us François-Xavier.